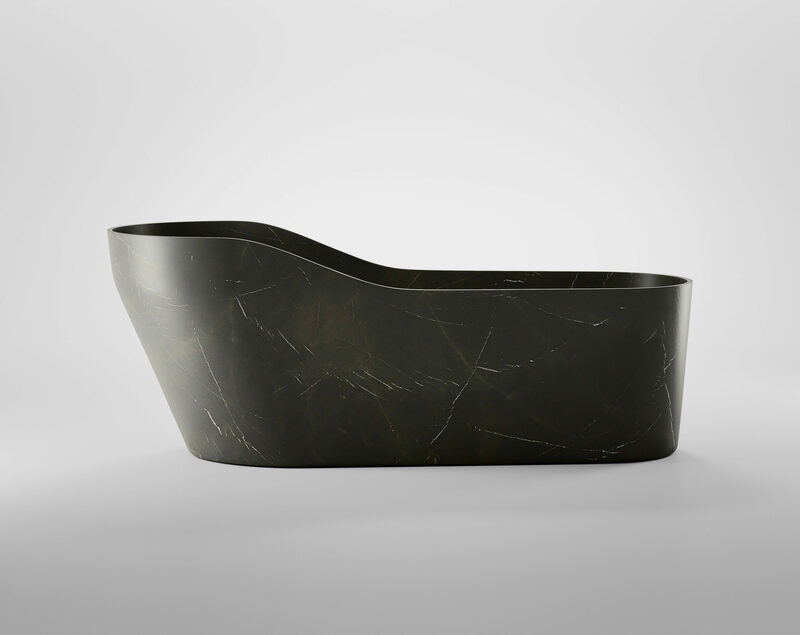 Kalypso is a bathtub carved from a single block of marble, recalling ancient classical forms. A sculptural object, with an essential yet soft shape, enriched by the unique variation of the marble veins, Kalypso is deisnged by Enzo Berti and named for the water nymph of Greek mythology. It is the newest bath introduction from Kreoo. Materials: offered in all of the marbles in the Kreoo collection.